To grasp the dynamic nature and volatile essence of ancient India, whose continuity and vitality are a constant source of wonder and fascination, requires a familiarity with the history and culture of one of the world's oldest civilizations. 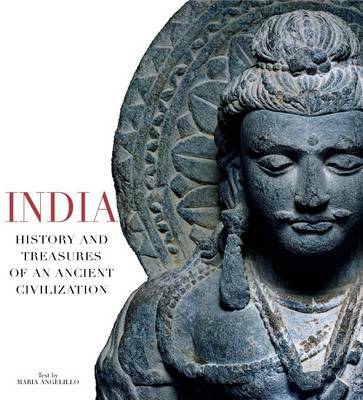 This book presents a chronological picture of Indian history from 2500 BC to AD 1192-from the dawn of Indian culture, represented by the Indus Valley Civilization, until the defeat of Prithviraj's Rajput army at Tarain by the Islamic warriors of Muhammad of Ghur. Tarain was one of the decisive battles in Indian history, marking the advent of Muslim rule over large areas of the subcontinent. The author places the most familiar-and sometimes also misunderstood- aspects of Indian culture in their historical and cultural context, making them easily understood by the non-specialist reader. Ancient India was the scene of the birth and development of some of the most distinctive features of Indian culture and identity, such as the three great native religious traditions of the ancient period (Hinduism, Buddhism and Jainism), and the caste system, aspects which are discussed in detail. The rich array of photographs, combined with an analytical yet straightforward text, present a picture that restores the vital beauty of India, a country that never ceases to enchant our eyes, souls and minds.